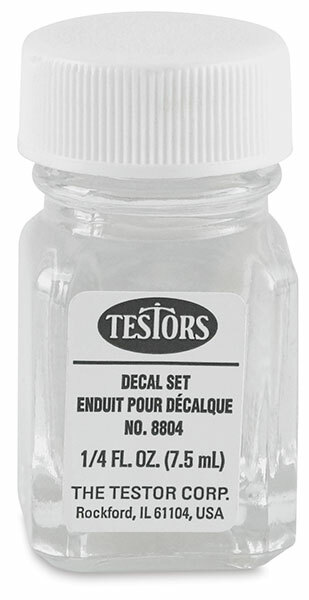 This solution is used for decal placement over panel lines and protrusions, allowing the decal to stretch and conform to irregular surfaces. Setting Solution also allows you to move the decal after you have applied it to the surface, for precision placement. It can be used on most surfaces. 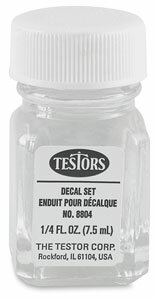 Decal Setting Solution comes in a ¼ fl oz bottle.